A firewood bundler is a tool used to package split firewood into small, portable bundles. The size of the bundles typically range from .75 to 1 cubic feet which is about 7 to 9 pieces of split wood depending on their size. The bundles are popular at campgrounds, convenient stores and local markets. 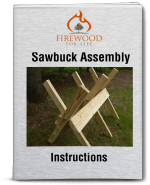 Customers enjoy them because they contain dry seasoned firewood that creates a nice, easy to light fire. Manufactures like them because the bundled firewood sells for around $3 to $9 a bundle depending on the location. Compared to other firewood that's not bundled, it can bring in 2....3.... or even 4 times as much profit. To bundle the wood you have a few options. Binder twine, rope or plastic strapping can be used but the serious distributors choose plastic wrap to bundle the wood. The plastic wrap is fairly inexpensive and creates a tight waterproof barrier around the wood. The wood stays secured inside the plastic wrap while keeping the ends of the wood exposed, allowing any unwanted moisture to escape. The precut wood is loaded into the machines brackets. Most machines have removable brackets that allow you determine the size of the bundle. Once loaded on the machine, a hand crank or optional motor is used to wind plastic wrap around the stack of wood creating a bundle. To help promote your business, wrap the wood a couple of times, insert your flyer and wrap the wood a few times again. The bundles are easy to create and the machines can produce around 45 bundles per hour with a single operator. Some of the larger machines can produce even more with the help from additional people. The results....securely bundled firewood that's protected from unwanted moisture and it can easily be distributed to local retailers. 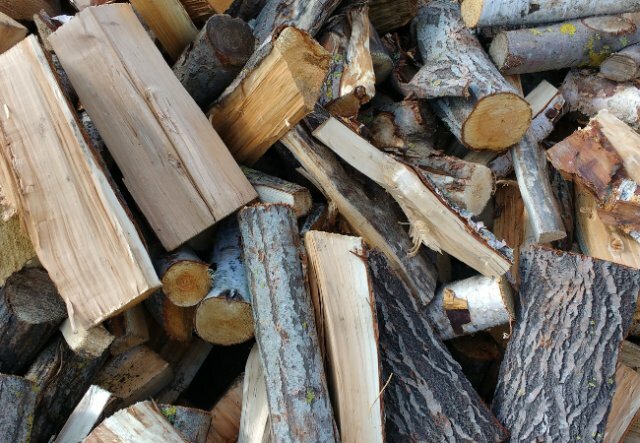 The opportunity to sell pre-packaged firewood is increasing due to the threat of spreading invasive bugs that live within firewood. For example, the emerald ash borer has caused may states to ban or prohibit moving firewood. What does this mean? If you live near a campground it's a great way to sell your small pre-packaged bundles because just about everyone buys firewood once they arrive near their location. Want even more business, talk to local campgrounds to see if you can be the sole provider for their bundles of firewood. Offer them a small commission per bundle and you will be selling firewood in no time! If you want increase the amount of firewood you sell and create a "niche product" that appeals to many consumers, consider one of these machines.....the results might surprise you!